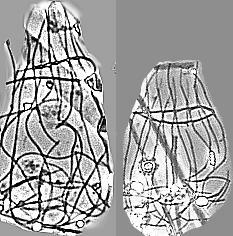 Bottle shaped lorica constricted at the front, 10-13 longitudinal costae each with ten costal strips, spear with two costal strips, protoplast at the frontal part of the lorica. Andersen, P. 1989. 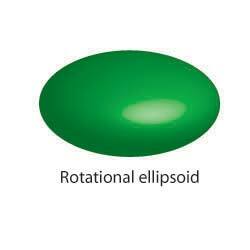 Functional biology of the choanoflagellate Diaphanoeca grandis Ellis. Mar. Microbial Food Webs. 3: 35-50. Ellis, W. N. 1930. Recent researches on the Choanoflagellata (Craspedomonadines) (fresh-water and marine) with description of new genera and species. Annls Soc. R. Zool. Belg. 60: 49-88. Espeland, G. & Throndsen, J. 1986. 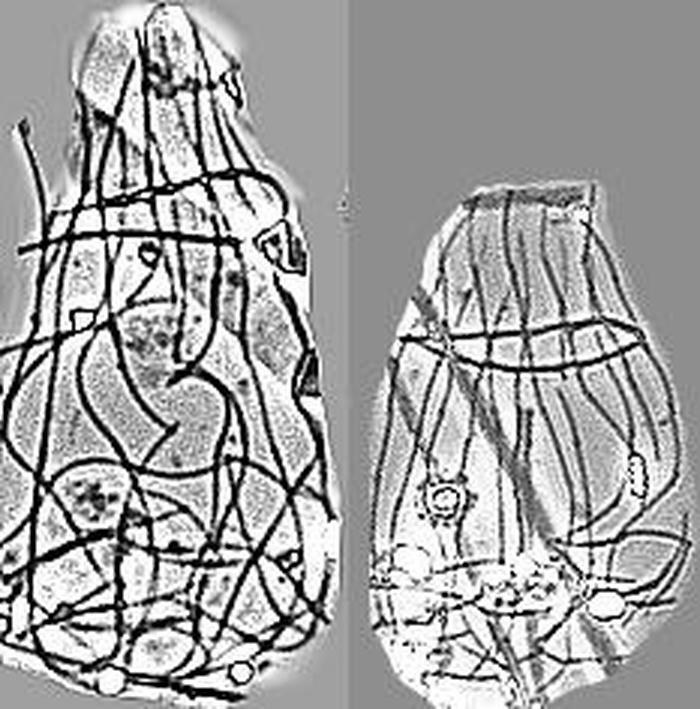 Flagellates from Kilsfjorden, Southern Norway, with description of two new species of Choanoflagellida. Sarsia. 71: 209-226. Thomsen, H. A. 1992b. Loricabærende Chonanoflagellater (Kraveflagellater). In: Thomsen, H. A. (ed.) Plankton i de indre danske farvande. Havforskning fra Miljøstyrelsen, Copenhagen, p. 157-194. Throndsen, J. 1974. Planktonic choanoflagellates from North Atlantic waters. Sarsia. 56: 95-122.